Finally, hours of hard work paid off. 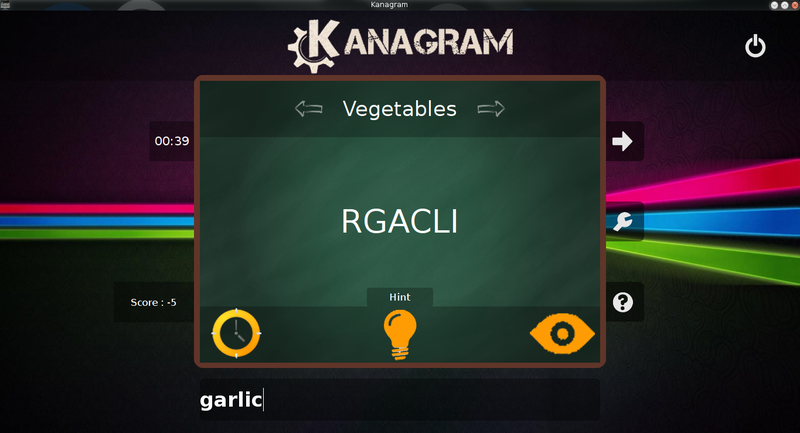 Kanagram has now a brand new interface which uses QtQuick framework instead of the previous SVG/QPainter based code. The entire interface has been written in QML. The whole process saw a lots of new developments. 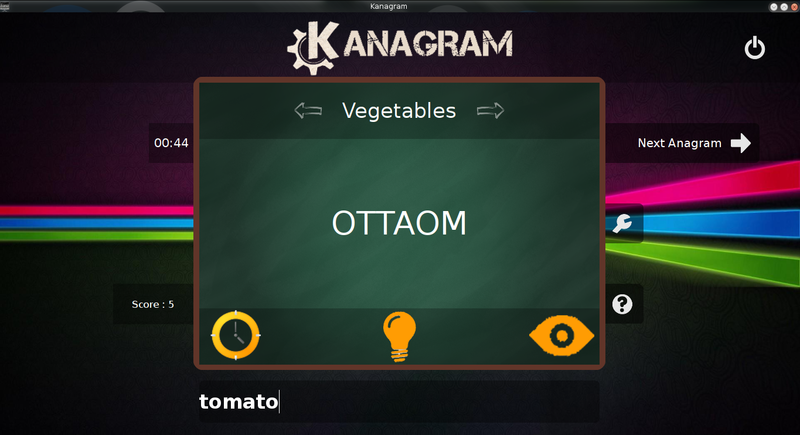 Previously, Kanagram had multiple interfaces separate for desktop and harmattan devices. There was also a plasma-active interface which had a bit of issues but helped me a lot as a reference, thanks to Laszlo Papp for that. The initial stages included a thorough clean up, which saw all the previous interfaces being replaced by the new qml one. Currently, only a single interface is maintained with the background and other images being kept isolated from the code, so that versatile themes could be implemented for the application in future. Though there's a lot of room for improvement in the user interface, the backend functionalities work fine. We were successful in pushing these changes to the master before the KDE SC 4.14 freeze. Also, a lot of credit goes to Jeremy Whiting who is now working on porting the application to Qt5. Next I will be working on a wiki link feature about which I'll write in my next blog post.